Thanksgiving is an important time of year. It’s the time to stop, take a breath, reflect on your experiences and to acknowledge the good things that have happened. Every year at Thanksgiving, my family all gets together and after dinner, each person takes a turn and says what they are thankful for. Oftentimes it’s good health, loved ones’ support and caring, the occasional sports team win, and so on. Now, it’s Bedford Technology’s turn to share. While there is so much to be thankful for including incredible customers, supportive communities, innovative solutions and advanced technology, we would like to thank the environment for helping us do what we do everyday. To help show our gratitude, we have implemented many sustainability practices throughout our company to help conserve and protect the environment. From our raw material and manufacturing processes to finished product, Bedford Technology prioritizes environmentally-friendly practices in each area of the business. Our company has helped keep millions and millions of pounds of plastic out of the landfill each year. This is accomplished in many ways. First, the material used to create our tough and long-lasting plastic lumber is sourced from post-consumer recyclables like milk jugs and laundry detergent bottles. Second, the product is recyclable. 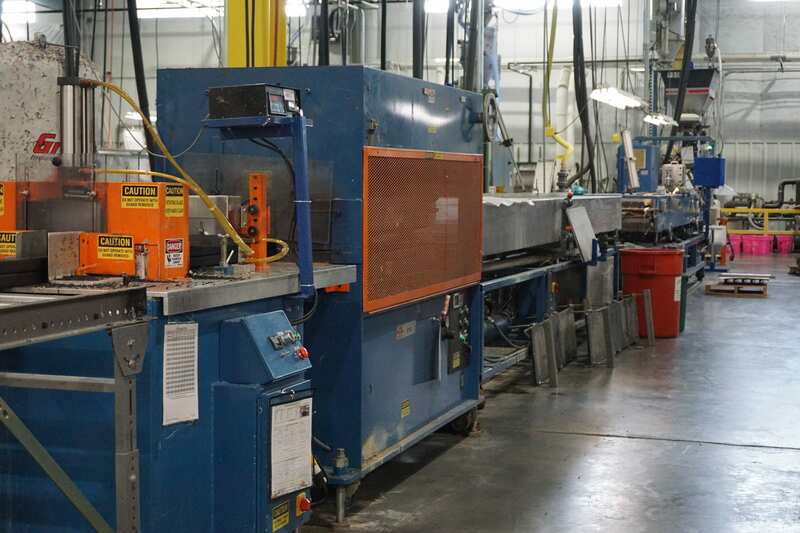 Our manufacturing processes minimize waste as we continue to recycle our scrap and trim, and reuse this material to manufacture plastic lumber. And third, the finished product is non-toxic, in that it doesn’t emit carcinogens, reproductive toxicants or irritants (under normal intended use). Another way that Bedford Technology helps conserve the environment is by manufacturing structural recycled plastic lumber, which qualifies for the LEED Certification Program by the USGBC. This program promotes sustainability practices and awards points to companies. It is the most widely used “green building” rating system in the world with over 92,000 projects constructed in over 165 countries. Bedford Technology products meet the building materials requirements in areas including recycled content, locally available, durability must be longer lasting than conventional products, and more. Start Saving the Environment Today! Bedford Technology uses innovative thinking and advanced technology to give back to Mother Nature in many ways. There are many ways that you can start implementing sustainability practices in your own lives! Help us thank Mother Nature and conserve the environment! Recycle – Recycle paper, plastic and aluminum (soda cans) products instead of throwing them in the trash. These materials can be reused and re-purposed into functional products (like structural recycled plastic lumber). Conserve Electricity and Energy – Turn off lights when leaving a room and unplug electronics when not in use. Use Other Forms of Transportation – Instead of driving cars, choose to walk, bike or car pool to your desired locations. Conserve Water Usage – Don’t leave the water running, limit the amount of dish washing/laundry cycles and limit your shower/bath time to 10 minutes or less. Get Familiar with Labels – Check the labels on food and other products. Look for the USDA Organic label. This ensures that there are no dangerous chemicals sprayed on produce and other foods that can contaminate the water and soil. Do your part to help conserve the environment, and try an environmentally-friendly building material for your next project! We are here to answer all of your questions! Contact us today.